Hi all! This is the first of several blog posts leading up to the RT Booklovers’ Convention in Atlanta that I hope you’ll find helpful. 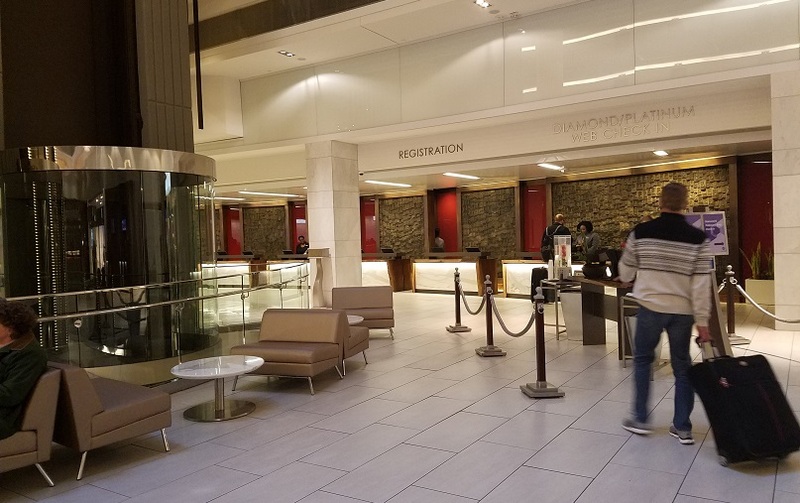 The convention is being held at the Hyatt Regency downtown, a hotel with which I am intimately familiar, particularly after 10 years volunteering there during Dragon Con. The hotel is on Peachtree Street Northeast—not to be confused with any of the other streets with Peachtree in the name. (That includes Peachtree Center Avenue, which runs directly behind the Hyatt!) Be warned that several streets near the hotel are one-way, so if you’ll be driving, watch out for that. If you’re taking MARTA, you want the Peachtree Center station, which is the first stop on the North/Northeast (Red/Gold) line. Any northbound train from the airport will get you there. Let’s start with some quick-and-dirty directions inside the hotel. First: no, there will not be long distances to walk to get to the conference space. The hotel has two main towers, Atrium and International, and they’re basically right next to each other. (A third tower, Radius, has only guest rooms, not meeting space.) International Tower will be used only for Teen Day activities, so I won’t cover that section here. 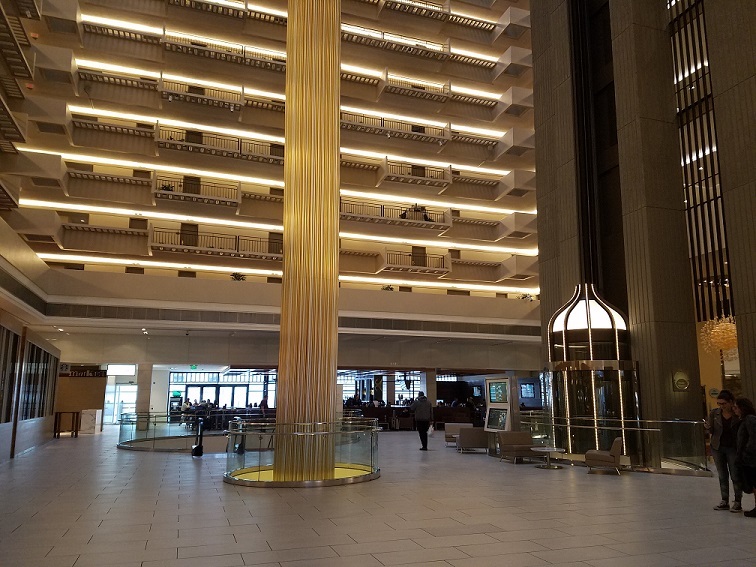 When you come in the hotel’s main entrance, you’re in the Atrium Tower, lobby level. 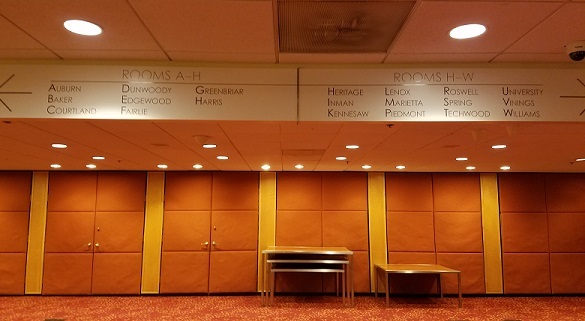 Most of the primary conference space is on the two floors directly below the lobby and the Atlanta Conference Center—basically an underground habitrail lined with smaller meeting rooms. Here’s the lobby, standing just inside the front door. Closer shot of the bar area. 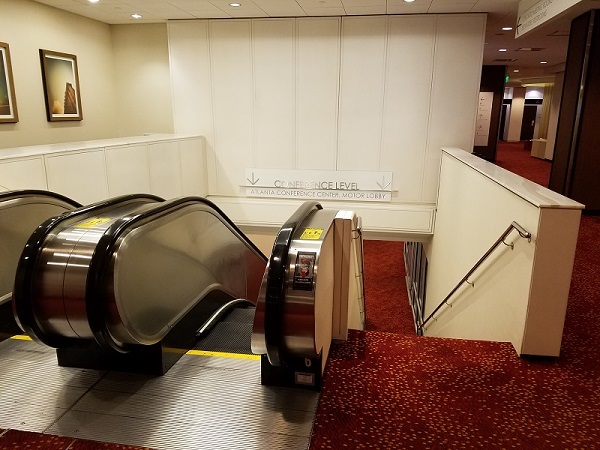 Here are the escalators from the lobby down to the conference levels. The elevators also go to the bottom levels, but elevator access can be dicey, so best to reserve those for people who need them whenever possible. 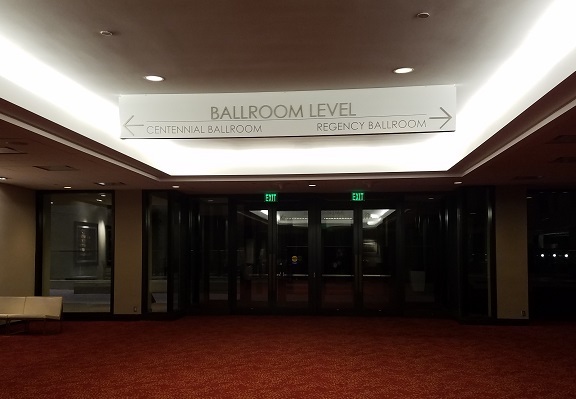 The first level down (LL1) has three main conference spaces: the Centennial Ballroom, the Regency Ballroom, and the Learning Center (an auditorium-style space). The pool is also on this level. The second level (LL2) has Grand Hall East and West, Hanover Hall, and the Chicago Room. When you come off the escalators on LL2, there’s another set of escalators to the right. Those take you down to the Atlanta Conference Center (LL3); the motor lobby is also on that level. Again, the atrium elevators will take you all the way down. Most of these rooms will be in use throughout the conference, so you’ll likely spend a lot of time down here. 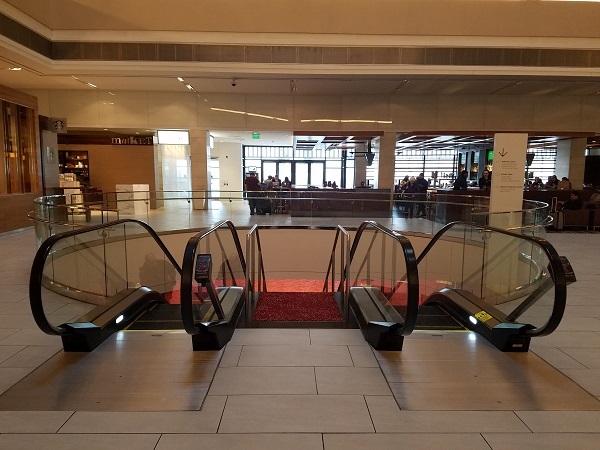 Also, if you turn right here and follow the hallway all the way to the end, you’ll find the elevators and escalators for the International Tower. I hope that’s not too confusing! I think that’s a good place to stop for this post. Feel free to ask questions in comments if you like, and I’ll try to answer them in a future post. Next up will be the other most important information: where to eat! This entry was posted in conventions, rt. Bookmark the permalink. What an awesome bit of info! I look forward to the RT posts to come. Thanks! This is *extra* helpful since I’m going to Dragon Con too! Thank you! I appreciate the pictures so I can orient myself before I get to the convention. Do you know if there’ll be an airport shuttle? Shae, thanks so much for answering my questions! I really appreciate it! Also, I just realized that I’ve read your DSP title Unfortunate Son and really enjoyed it! 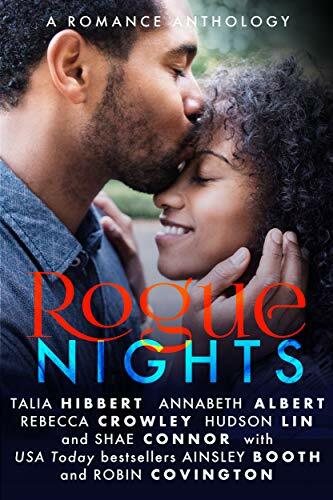 I look forward to reading more of your books and also meeting you in Atlanta! Thank you EVER so much for this! 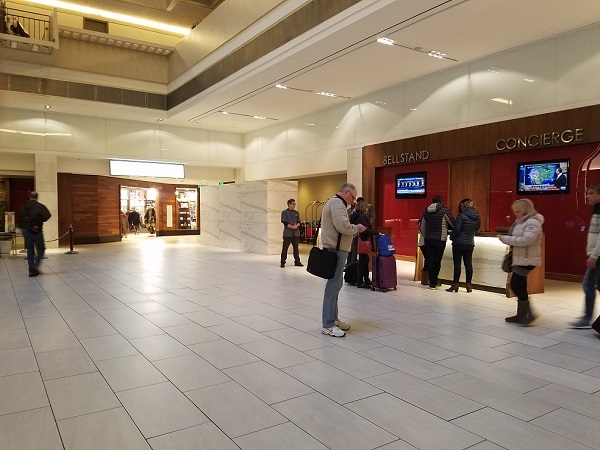 Never been to Atlanta so I’m readying myself to take the transit to the hotel and looking forward to a great time – this is terrific!!! I heard there are no microwaves in the room, but there is a refrigerator…do you know if there is a microwave in the 24-hour MARKET?? I talked with the hotel and you have to request a refrigerator. They said it was no extra cost but we see when I pay my bill for the hotel. I called the hotel about refrigerators, and they said all rooms in the two main towers (Atrium/International) have refrigerators. I’d still request it at check-in to be safe, though. As for microwaves, I think there is a microwave in the market, but no idea if they allow guests to use it for items they don’t purchase there. Sorry! Thank you so much for this info ❤ Looking forward to future posts!